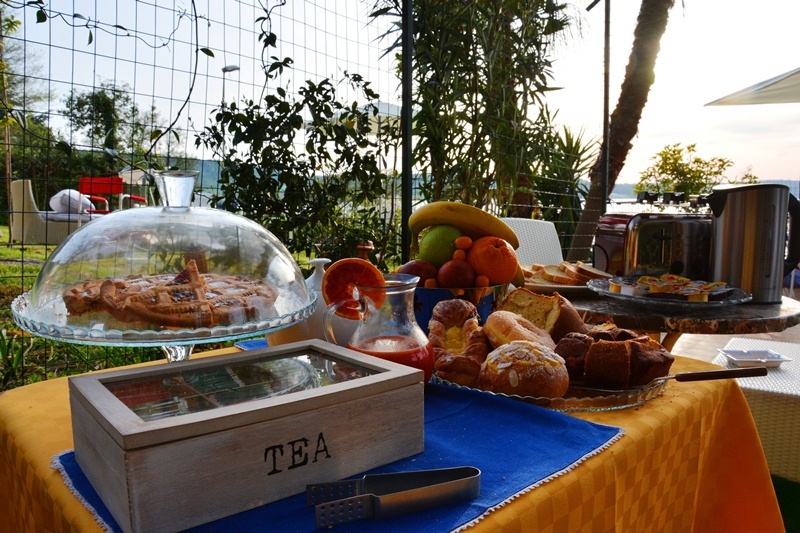 Daily tariffs vary from 65 to 95 eur for 2 persons in double room (10% reduction after 6 nights) breakfast and all services included. You reach our website typing WWW.DREAM-HOLIDAY.IT on the top field of the browser (for immediate access, avoiding to repeat the search). 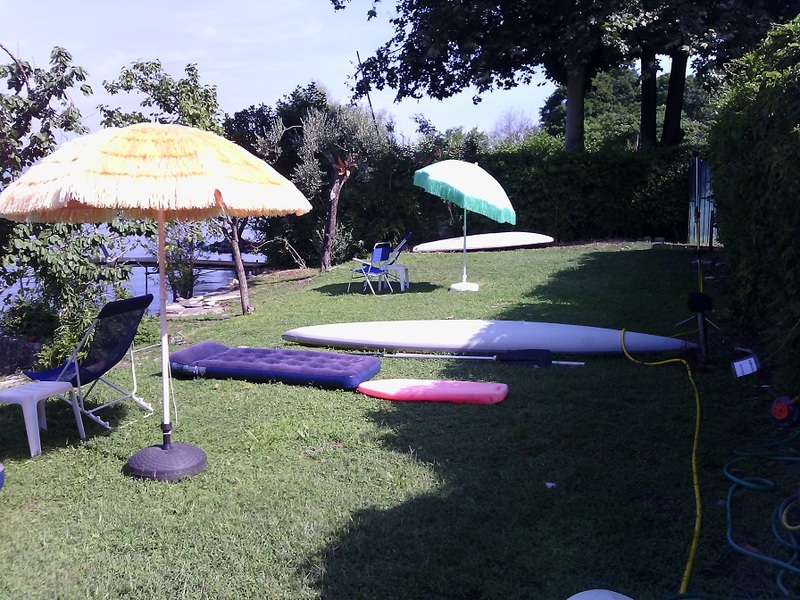 - Garden, private beach with chairs, canoe, pedal boat, beach shower, etc. 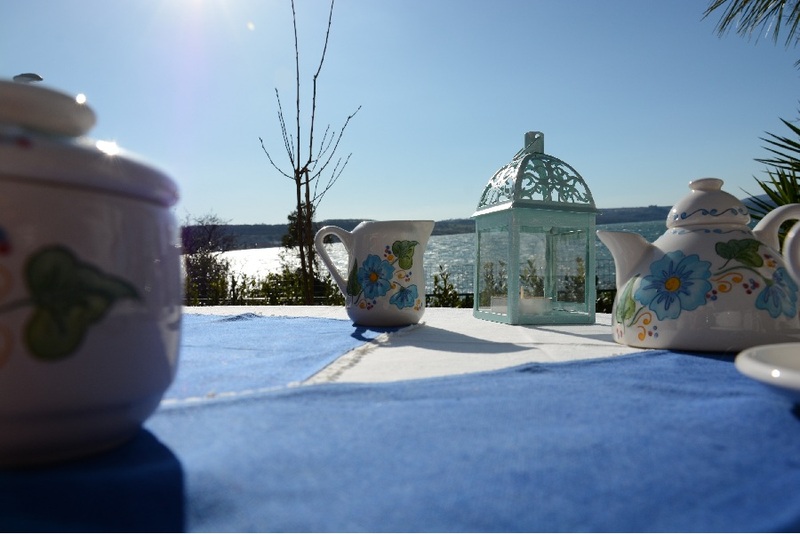 The B&B "Villa in the Park" is managed by its owners and it is not a common Bed and Breakfast, because its rooms have panoramic view over the lake, in-room private bathroom with shower and it will allow you to enjoy the stay in a beautiful Villa with private beach. The environment can be either familiar or reserved, according to the client's wishes. 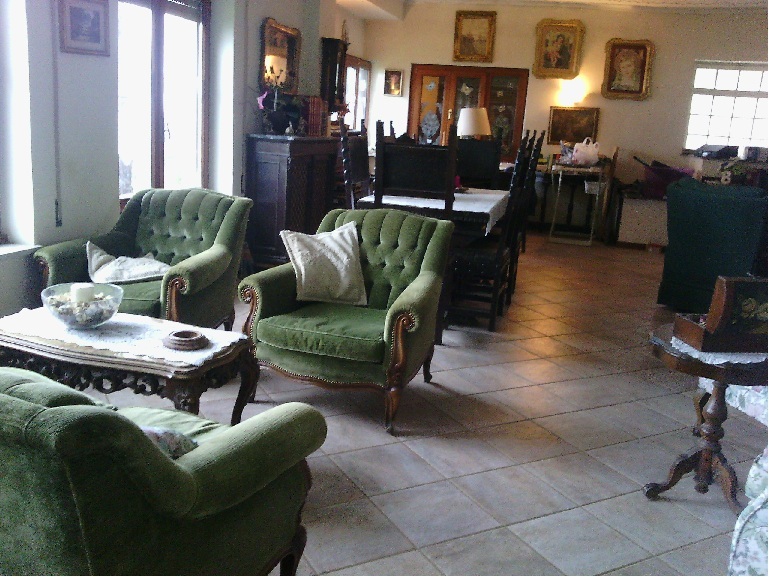 As the B&B has only two rooms a family renting both of them will enjoy all the services and the Villa in an exclusive way, without the presence of any other client. 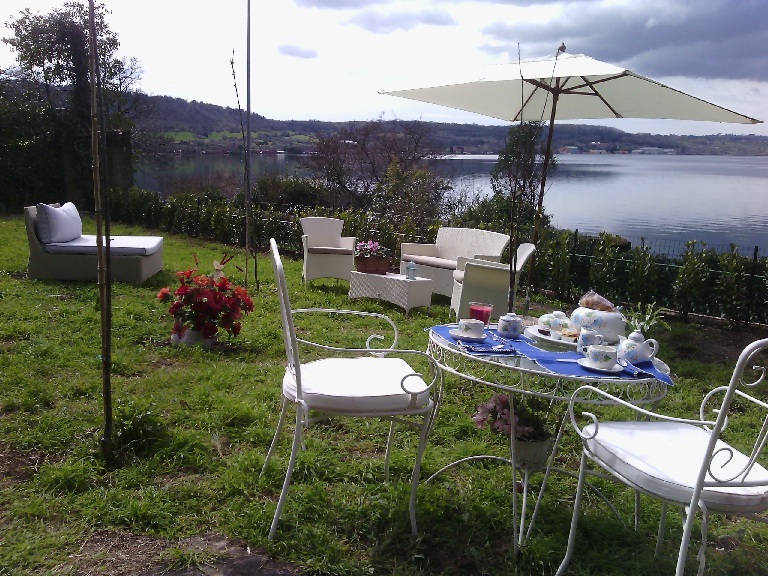 The B&B quality is certified by the "Quality Trademark" released by the Regional Agency of the " Park of the two lakes (Bracciano e Martignano)". 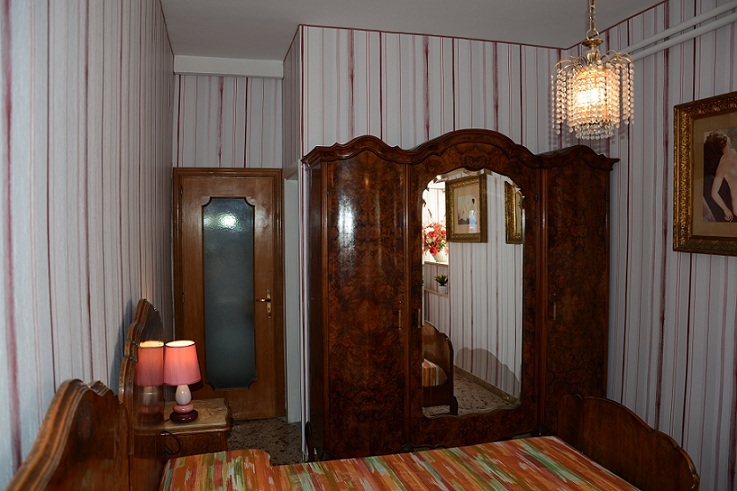 Our rates vary between 65 and 95 eur per day for a double room (all included) in the various seasons and a 10% reduction is applied from the 7.th night on. 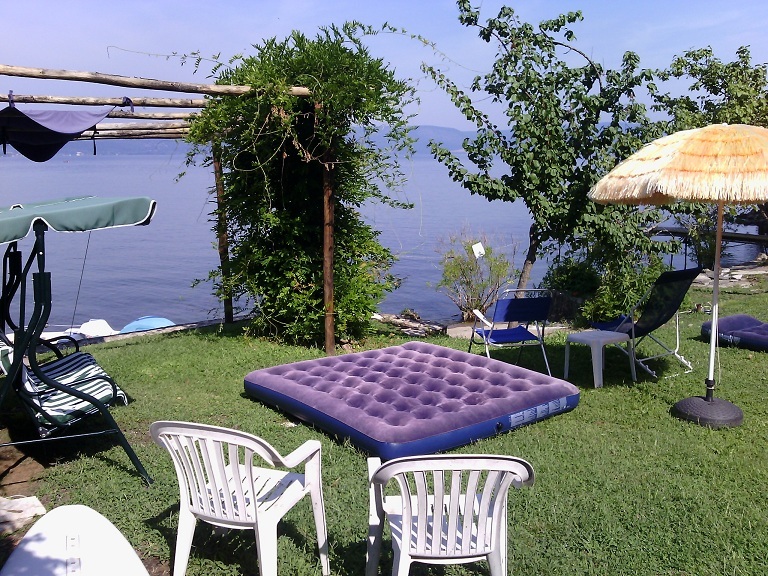 The rates of the rooms are "all-inclusive" as they include the rich breakfast and all the B&B services, as the private access to the lake by the wide private beach of the Villa and the free use of canoe and pedal boat, as much as you want. 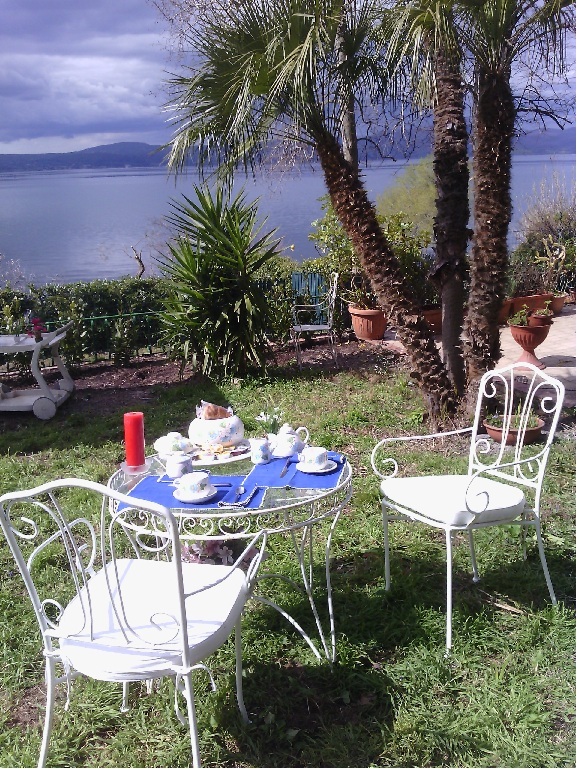 Enjoy the charm of the landscape and breathe the pure air of forest and hill, staying in the unique Villa with B&B, garden and a wide private beach with canoe and pedal boat, just on the shore of the lake of Bracciano, in the quaint little town of Anguillara , near Rome, without the chaos and smog of big cities. 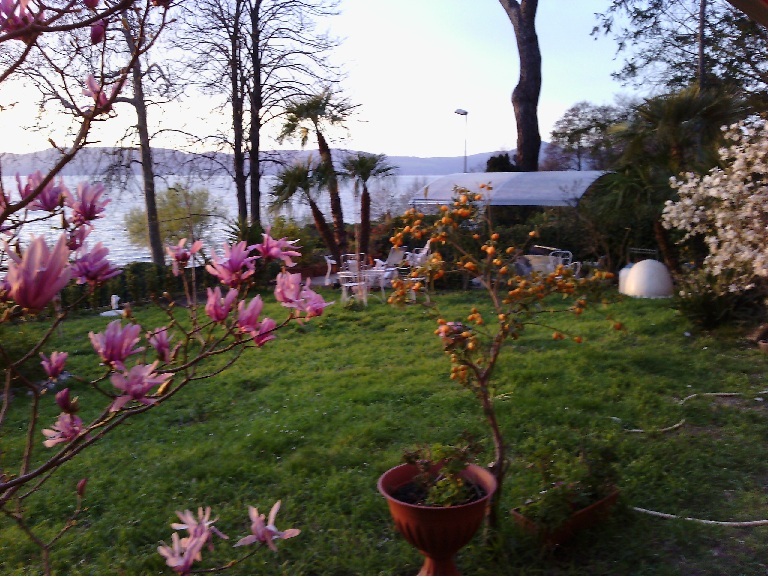 Anguillara is the very beautiful city where the famous TV serial was set "Everybody Loves Raymond". 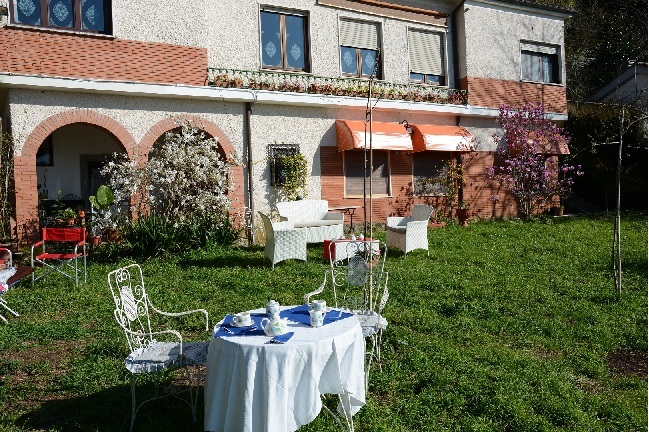 The "Villa in the Park" is a splendid villa immersed in the green of the forest in the Park of the two unpolluted lakes Bracciano and Martignano and it is located on the lake shore, paradise of the sports of sailing, surf and canoe, inside the natural area protected by the Regional Park Agency. 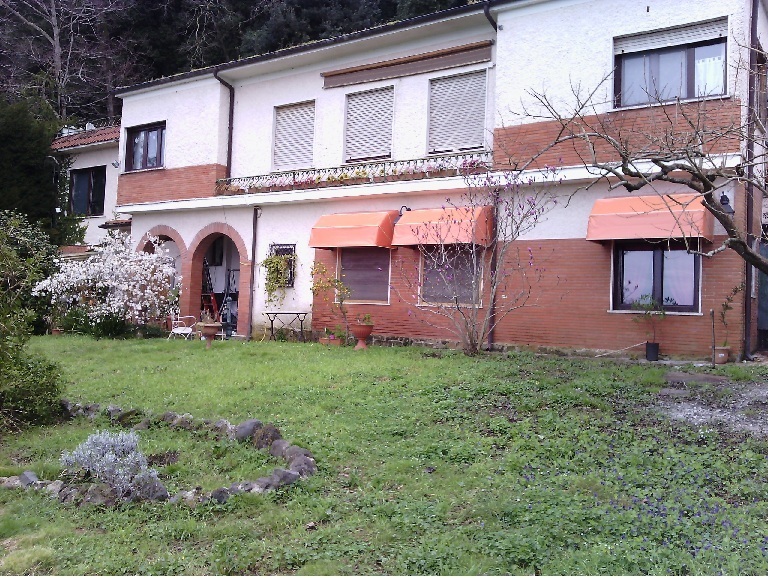 The B&B "Villa nel Parco" has two bedrooms, both on the ground floor with private bathroom and windows with panoramic views of the garden and lake. The rooms have the great advantage of being fresh in the summer, because besides being 200 m. above sea level, enjoy a natural reduction in temperature as the Villa was built nestled into the hillside behind. 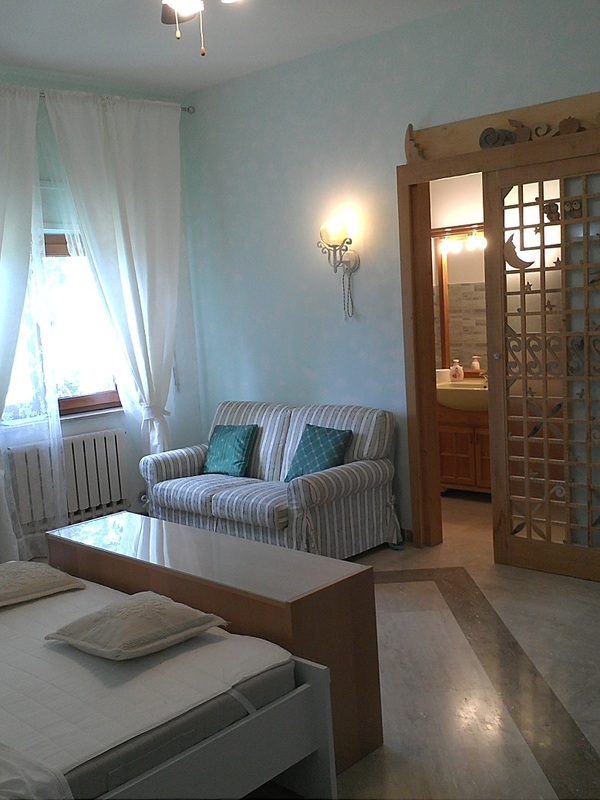 The bigger room Panorama is a double room which can be transformed into a triple or quadruple bedroom. 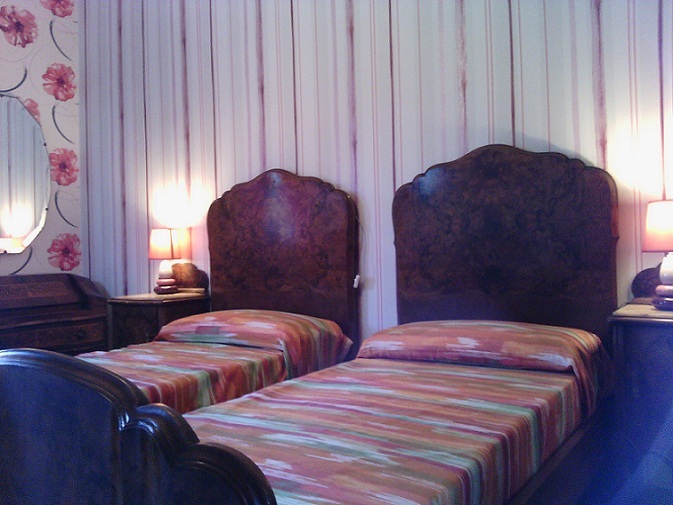 The other room Lotus is a double bedroom, finely furnished in briar. 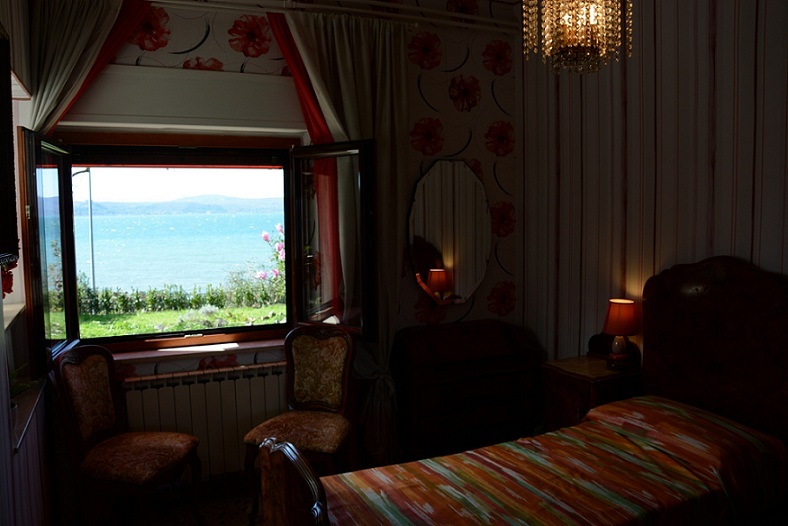 The garden of the Villa, raised 3 metres over the beach for a better view on the lake, is a natural extension of the beach up to the entrance of the rooms. VIRTUAL TOUR: moving the mouse with click down you can visit the whole B&B on 360° photos (click on the right upper corner for full screen). This is the Villa in the Park with the forest on the back. 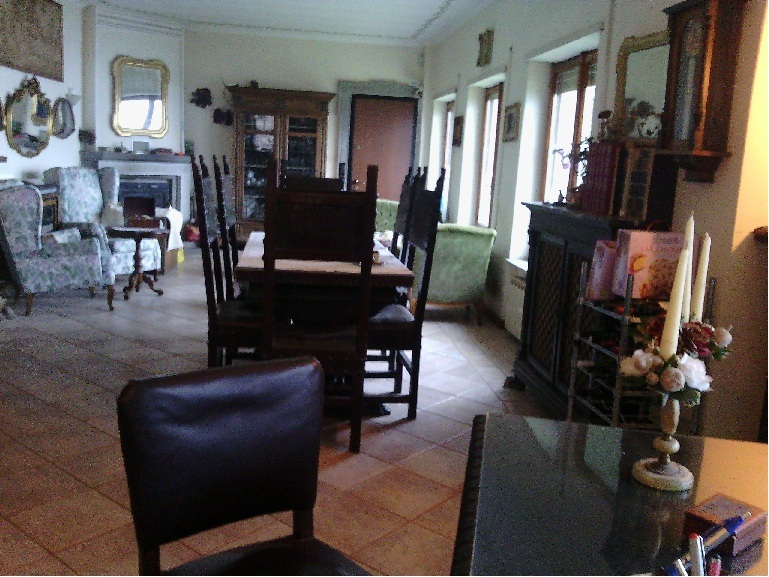 The rooms Panorama and Loto have their three windows you see on the garden floor. 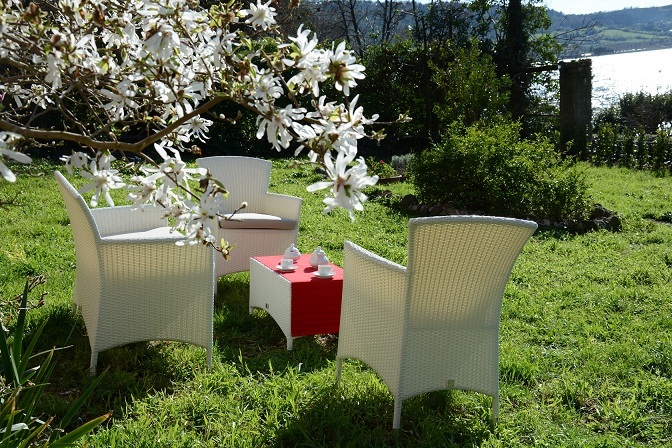 This is the garden where you can enjoy a relax with a splendid view over the lake and where you can have your breakfast, if you want. This is our "Lakeview terrace" where the breakfast is served. 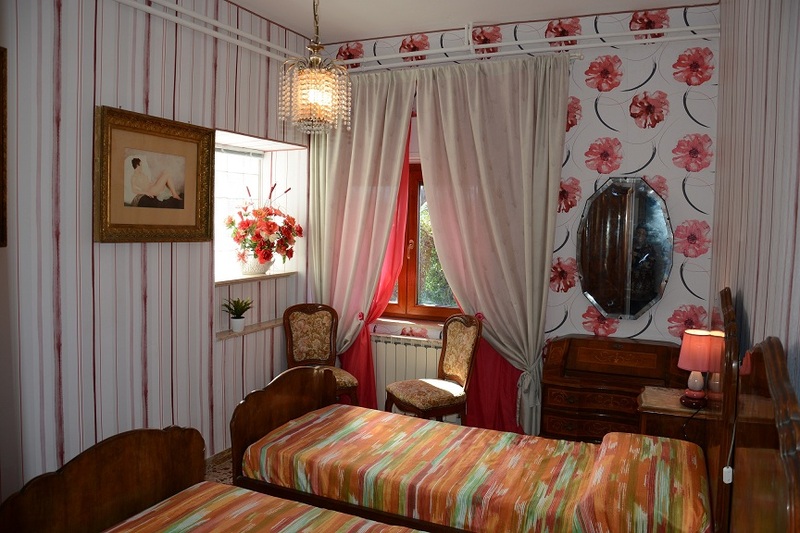 This room is finely furnished in briar, has a large window overlooking the garden of the villa of 400 square meters, with direct views on the lake and with the sun setting in front, behind the profile of the medieval castle Odescalchi. The window is under a lotus tree that provides a pleasant shade in summer. 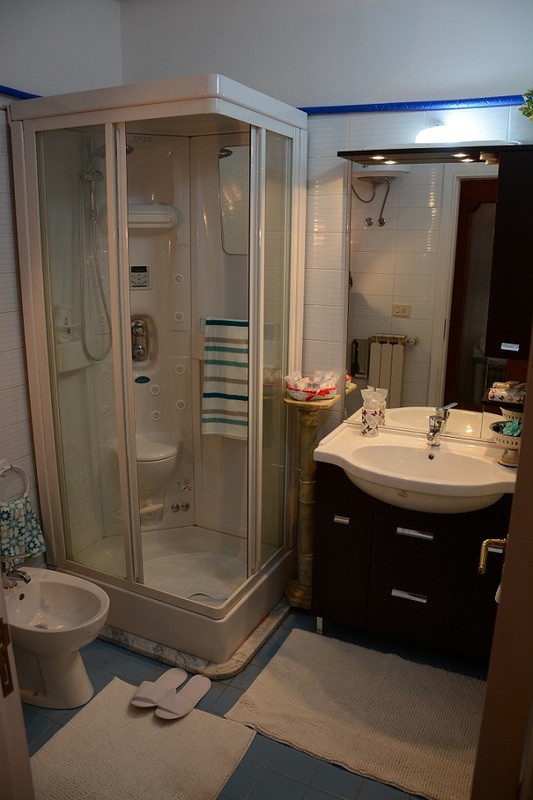 It is also equipped with a private bathroom with shower, hydromassage and turkish bath (sauna). HIGH SEASON (from 01.07 to 31.08 and Easter) : 85 EUR for Lotus and 95 EUR for Panorama. Possible agreement with the restaurant for meals, catering and special menu (on request half/full board). On the map, along the coast, you can see the symbol that identify our location. 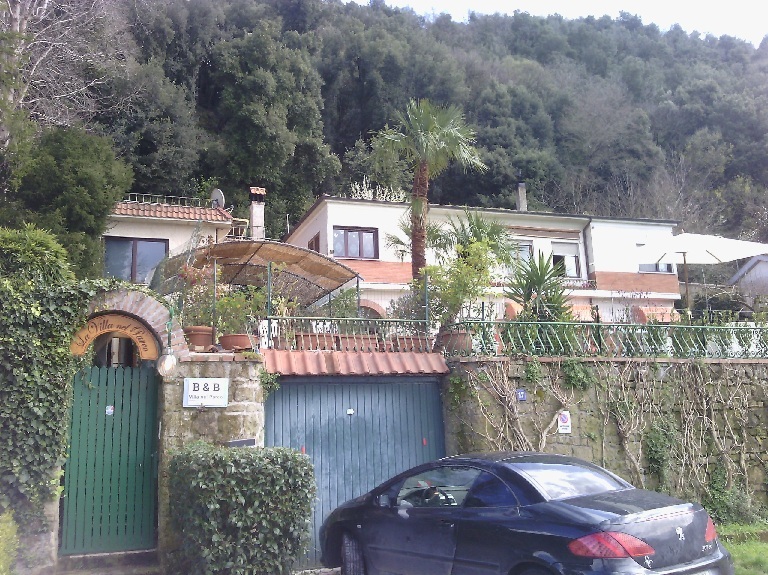 Clicking on the image, you can see the on-line Google map centered on the house "Villa nel Parco" with surrounding woods and the private beach with the pedal boat. 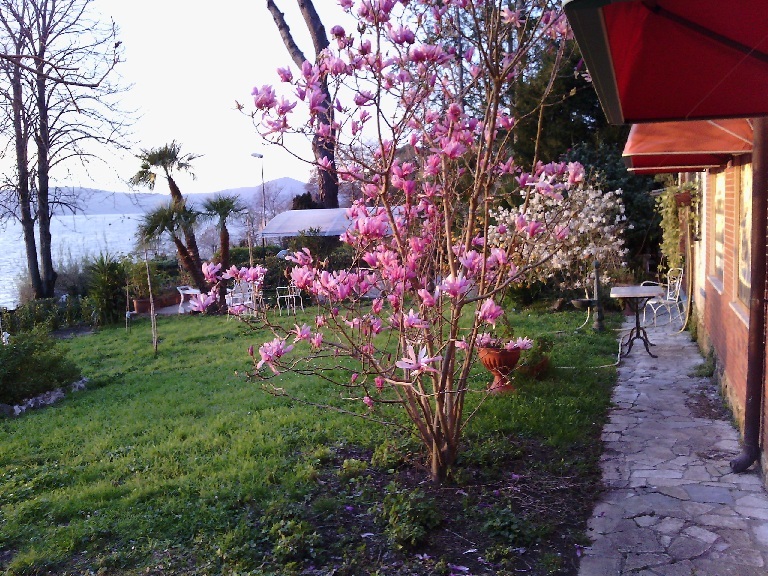 In the on-line map you can have an overview of the House location and the surrounding area: the Regional Park of the two lakes, Bracciano and Martignano. 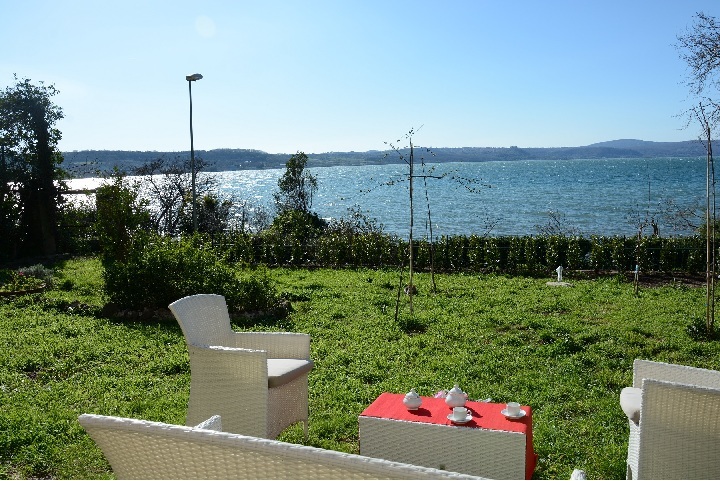 The Villa is exactly at Km 2.0 of the Via Prov.11b or Via Vigna di Valle (along the lake border) that starts from the square of Anguillara pier (where is the docking of the touristic boat, linking the three towns on the lake). 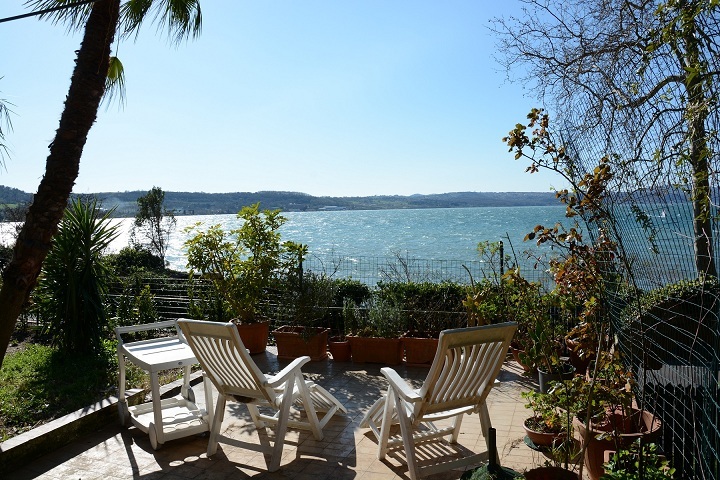 So from Anguillara just drive on the road for 2 km lakefront (along the lake, clockwise when viewed from above) toward the town of Bracciano. The private parking and the signs of the B&B "Villa nel Parco" is located just down the road at Km 2.0 on the left (you can see the kilometric signal on the road). The following form will ask you all the relevant data for the booking. Please let fill the fields you want and, after the click on the Open Mail button, the mail on your computer will open, allowing you to insert any more text and/or attachment you want, before the not binding sending to the B&B is done. Your mail and the address of the B&B will remain written to memory in your folder of Sent Mails, for your convenience. If the mail account is not working, you can call us at the phone number indicated by the red arrow in the previous page (you can just click it on the smartphones). 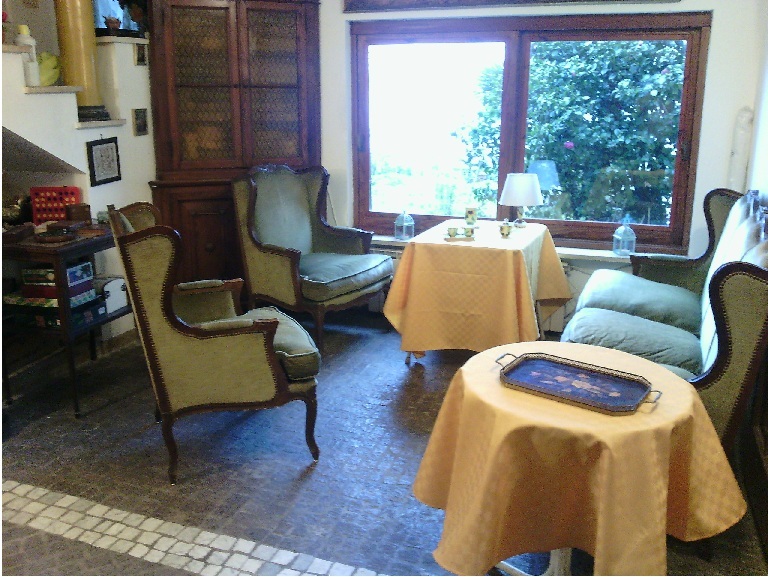 Information request (for instance about availability or rates) to which we will answer without any binding of the rooms. who will send you a separate email by which you can pay the amount requested (on your PC or smartphone), quickly and safely, without having to share with us the details of your credit or pre-paid card (there is no need to be registered with Paypal). Now press on Open Mail to open the mail ready for sending (you can integrate it with more text and/or attachments). You can always decide whether to send or not the mail until the last. N.B. Especially in smartphones (the software is rather different) sometimes there is a problem sending e-mails: when you get the message "Not Found" or "Web page not available" do your request with a normal e-mail to info@villanelparco.it (thank you).